Discovery Cube features a diverse line-up of engaging exhibits all year long. 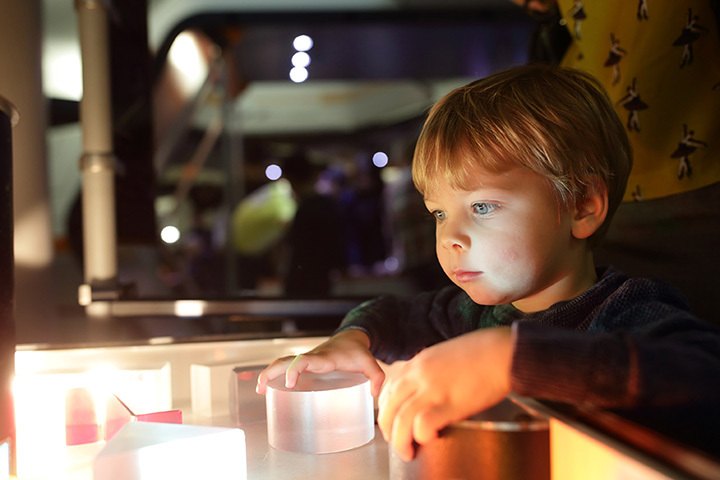 From our permanent exhibit areas such as Science of Hockey, Eco Challenge, Dino Quest and the Boeing Rocket Lab to our traveling exhibits, there is always something new to discover at the Cube. Discovery Cube's Ocean Quest inspires, educates and engages the explorer within and develops critical 21st century skills through interactive STEM experiences centered on the principles of ocean literacy. Discovery Cube's Ocean Quest dedication to giving back to the community begins with our relationships with local non-profits that service at-risk youth. Olive Crest, Orangewood, Kids Works, C.A.S.A and others enjoy an educational opportunity that engages their students while developing the explorer within. Whether coming to our Newport Beach location, enjoying a trip to the local tide pools or taking their first boat ride to Catalina Island, Ocean Quest opens new doors for the students to see their world from a new perspective. Our young visitors come away dreaming of new adventures and realizing new possibilities.